128 Seiten, 21,6 x 28,8 cm , 800 g.
Roe Ethridge’s (*1969) practice is that of a restless maverick and his constantly evolving visual sensibility has spawned a myriad of copyists in what has become known as ‘the new school of synthetic photography’. In this his latest artist book, Ethridge conflates a rich array of photographic tropes, combining personal documentary images made in western Palm Beach County, his mother’s childhood home, with surreal collage works, and a series discarded from a Chanel fashion shoot. These are interwoven with what appears to be a carefully directed scene depicting a teeth-white Durango SUV sinking into and then being retrieved from a canal. 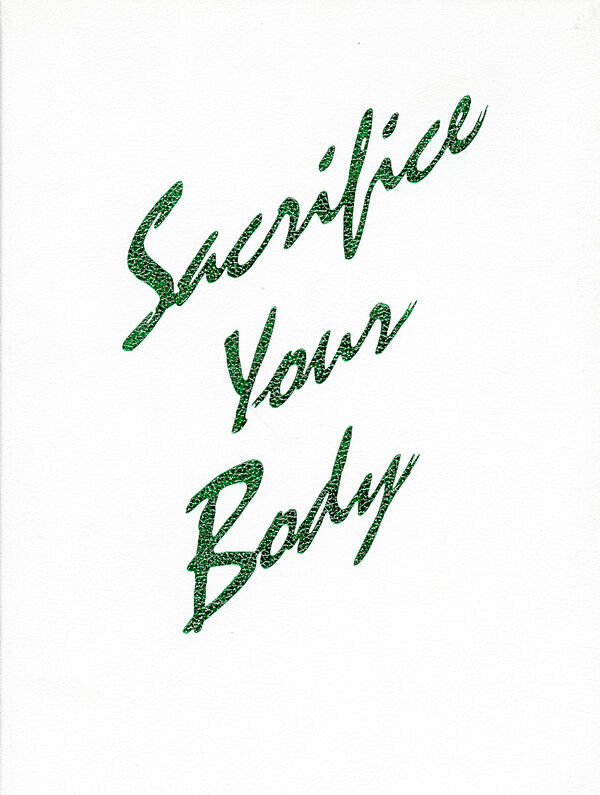 The clash of visual styles, histories and meaning establish a flatline of dissonance underscored by the touchline admonition of the neon title – SACRIFICE YOUR BODY. Ethridge's storytelling invokes a sense of discomfit akin to David Lynch’s film-making, a lucid undermining of veracity and morality and the ingrained materiality that underpins American life.